Hailing From Ontario, Canada, Devilz By Defintion are a 5 piece heavy metal band that brings it every time. Influences are Lamb of God, Pantera, Slayer you get the picture. Hard hitting Heavy metal from Canada. 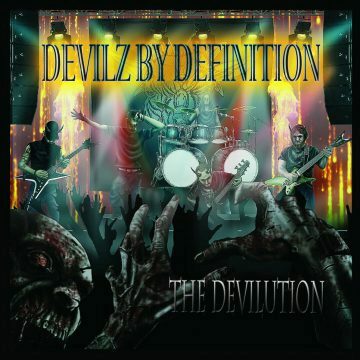 Devilz by Definition is a band reborn many times, in many ways, and have always come back stronger and heavier than the last time. No obstacle has stood in their path to date and none will, these are driven and hard working musicians with a passion for the live show. Their energy both on and off the stage is unique and captivating. Devilz have been making heavy music for heavy music fans since 2010 and there is no sign of them slowing with a forthcoming full length in the works for early 2019 and many live events throughout 2018. For fans of everything metal! !